It make sense to see close() method as non-core functionality of byte stream objects, This is the reason this method is placed in interface Closeable. 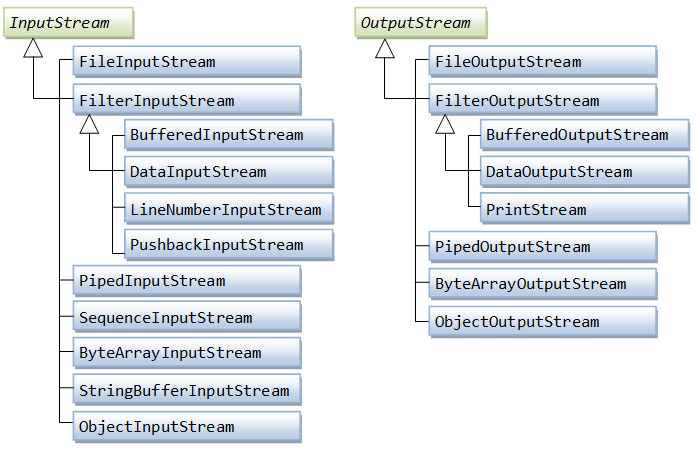 One evidence is, class ByteArrayInputStream do not require close() operation. As per the above definitions, my observation is, interface Closeable should not be implemented by abstract class InputStream/OutputStream, It has to be left by concrete sub-classes to implement it. Do you think my understanding is correct? How to perform task when drop down navigation list is opened? how to make a custom layout notification canceled when a layout button is pressed? Why does installing a Pod create 2 targets?